Chandler-Gilbert Community College hosted its 9th Annual Veterans Resource Expo on Thursday, November 9 for student and local veterans. The event featured a resource Expo with over 30 college and community groups serving veterans along with the display of the “In the Eye of the Soldier” World War II exhibit courtesy of CGCC, the City of Chandler, and the East Valley Jewish Community Center. 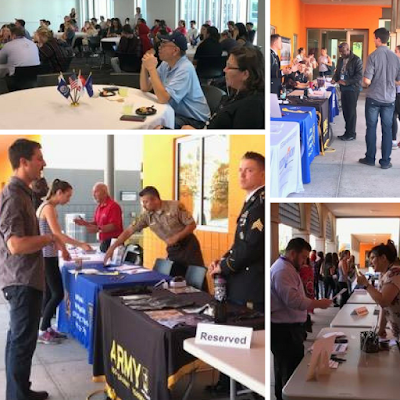 Attendees had the opportunity to network with local businesses about job opportunities and learn about veteran resources and services offered by CGCC and community groups.